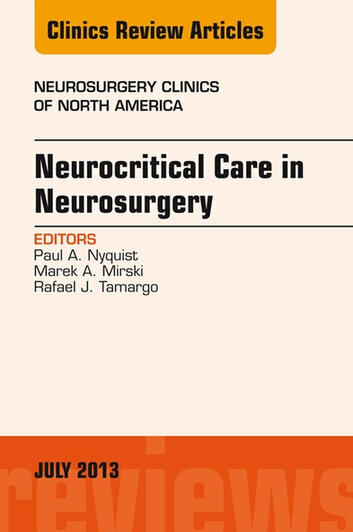 This issue of Neurosurgery Clinics of North America is Guest Edited by Drs. Paul Nyquist, Marek Mirski, and Rafael Tamargo, all from The Johns Hopkins Hospital in Baltimore, Maryland. 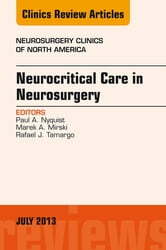 This issue will cover important topics for the neurosurgeon in the Neurocritical Care Unit, including issues in ventilation in the patient with brain injury, ultrasound, seizures, subarachnoid hemorrhage, microdialysis, and management of brain trauma, acute spinal cord injury, and intracranial hemorrhages.